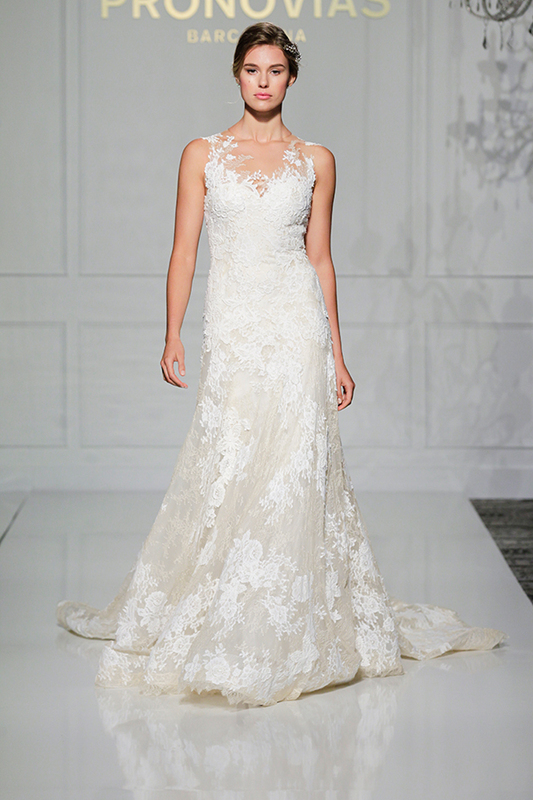 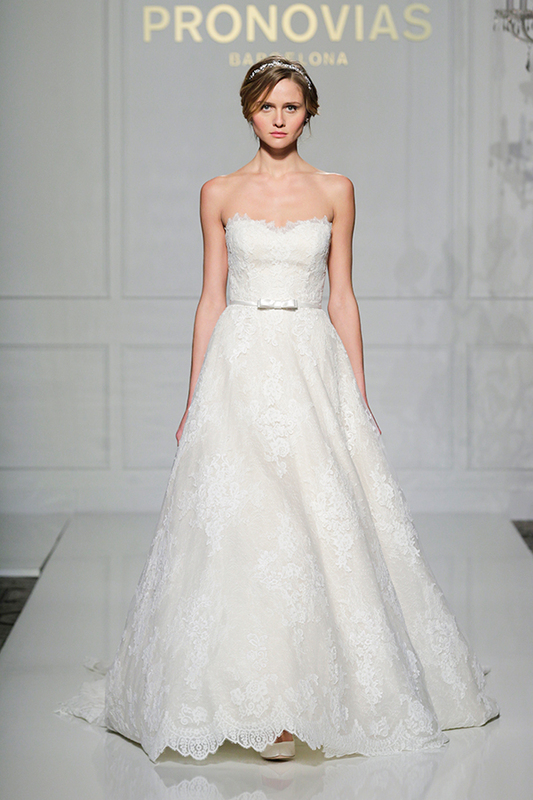 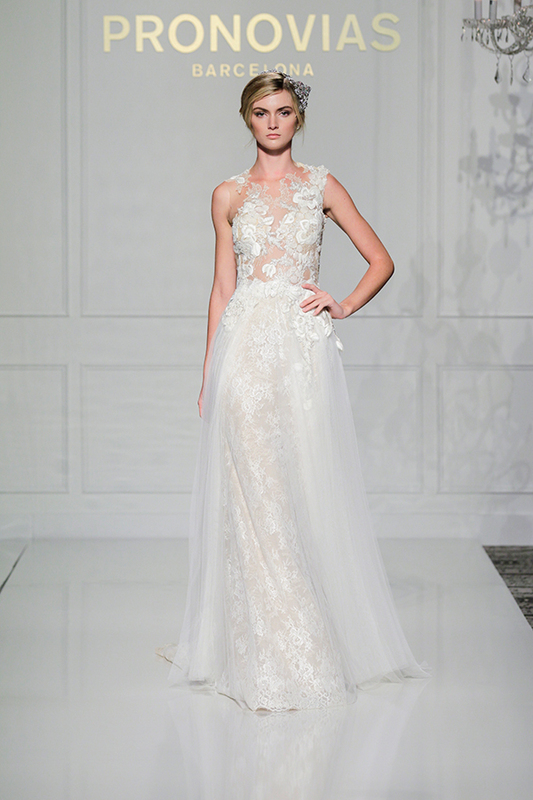 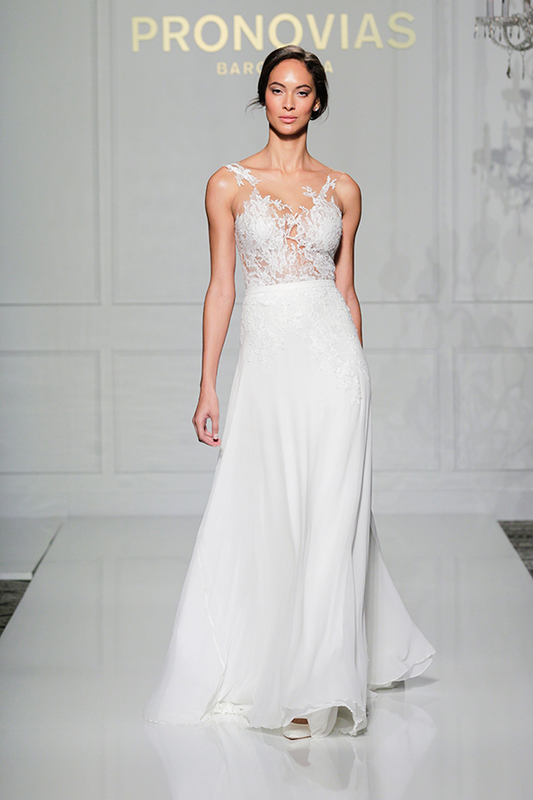 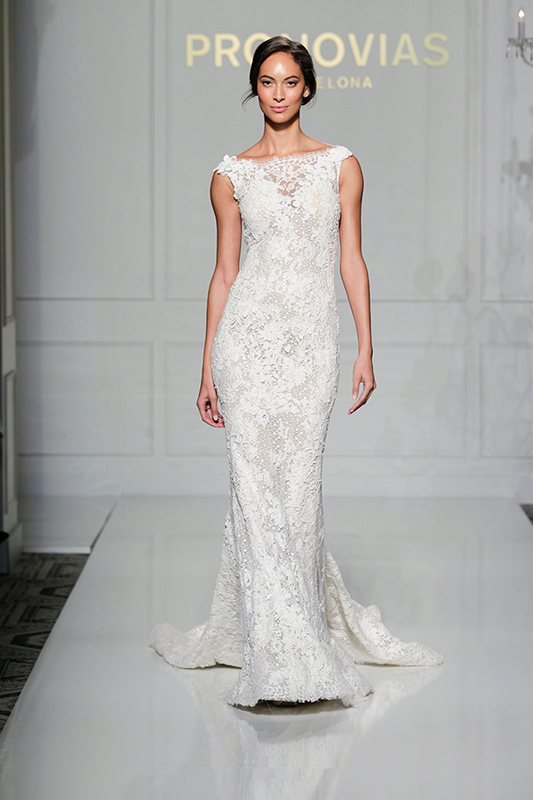 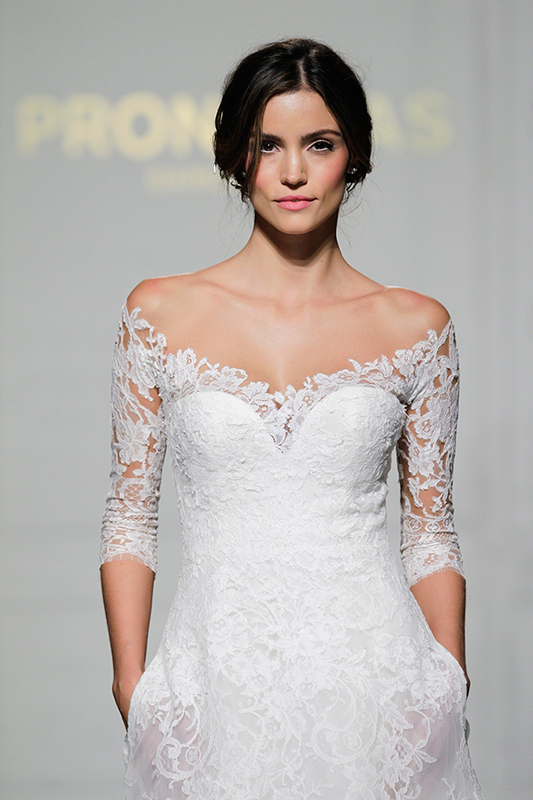 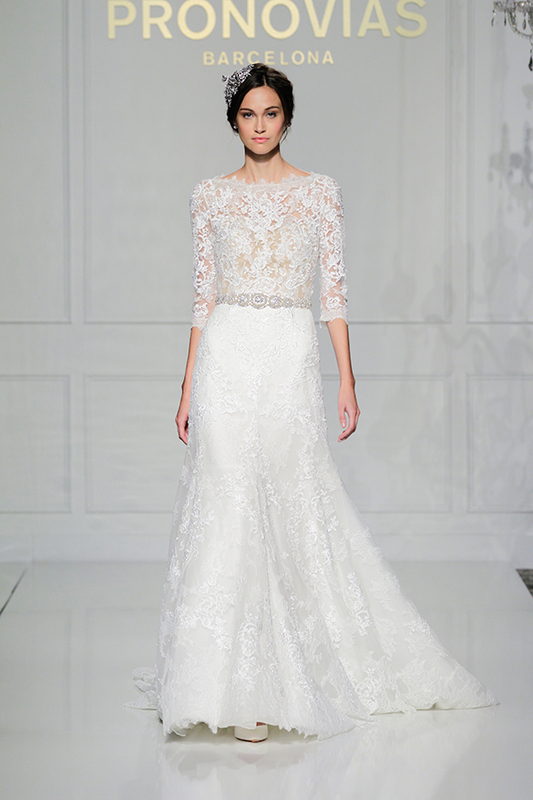 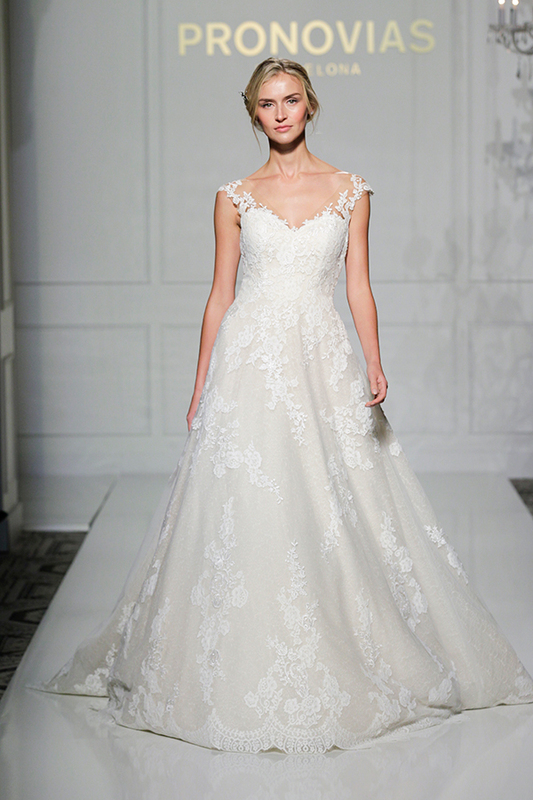 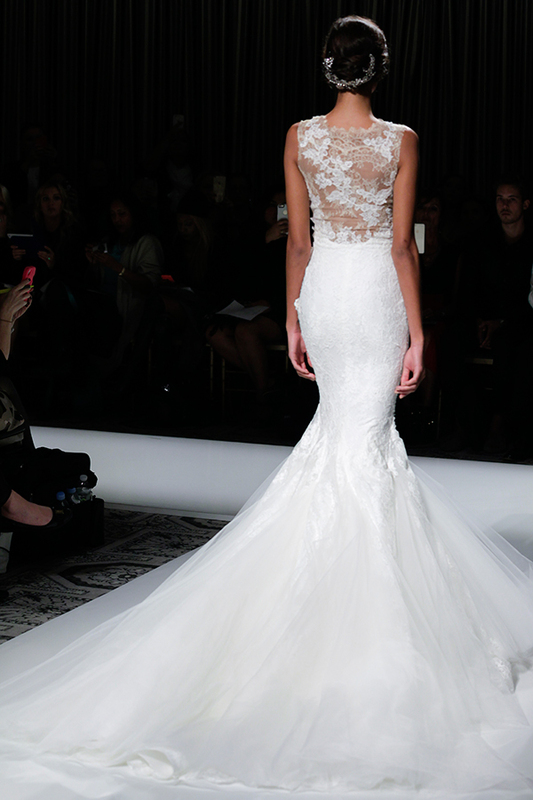 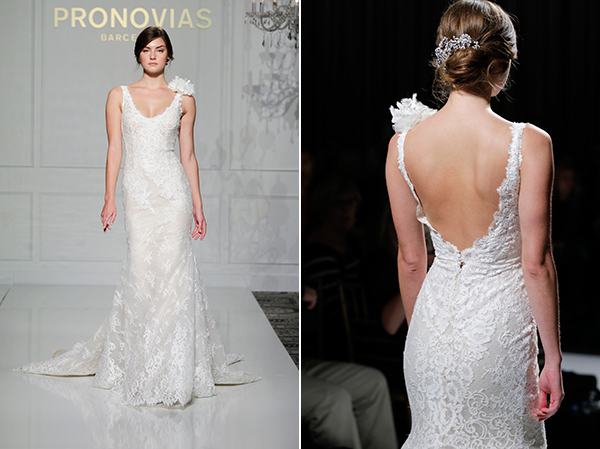 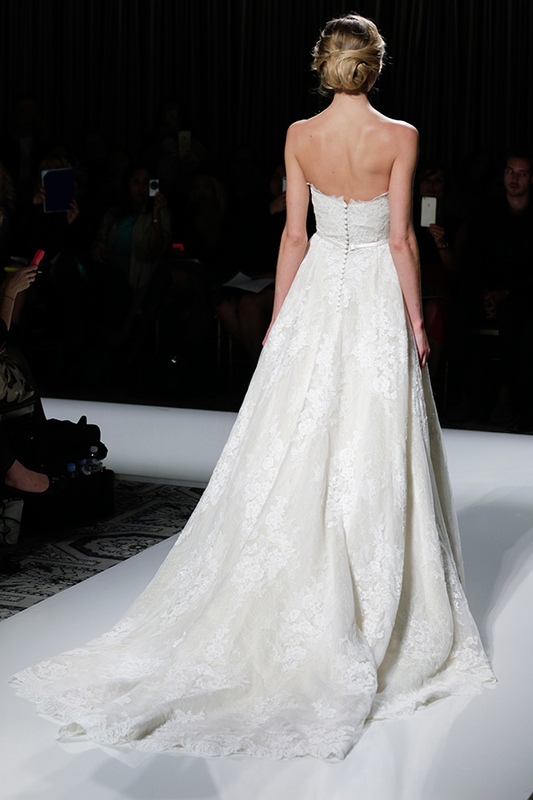 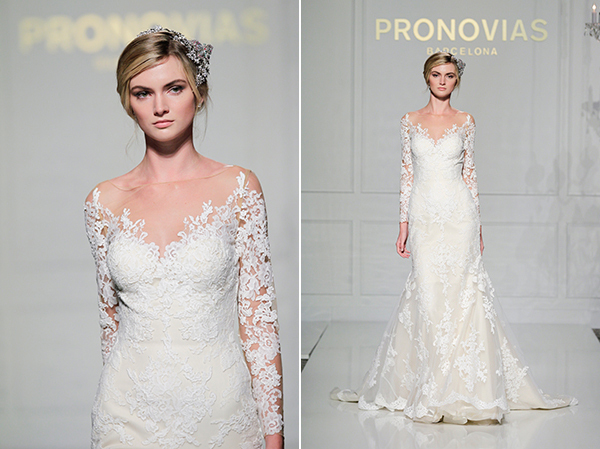 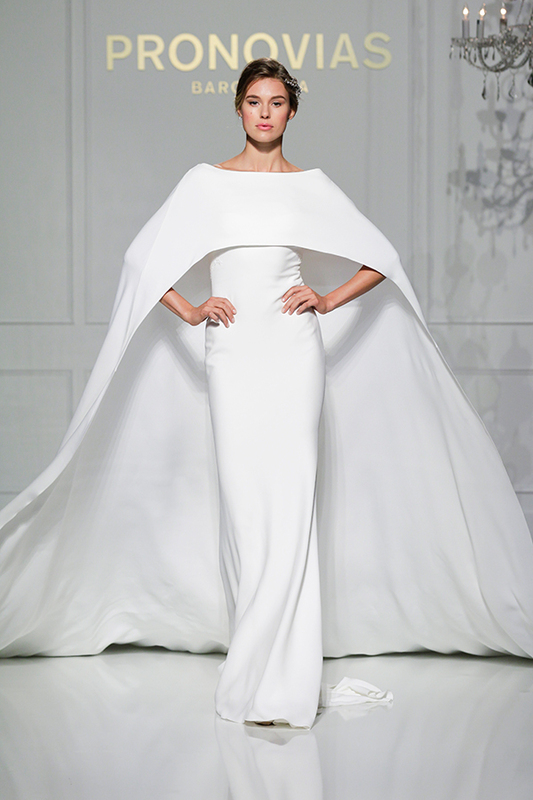 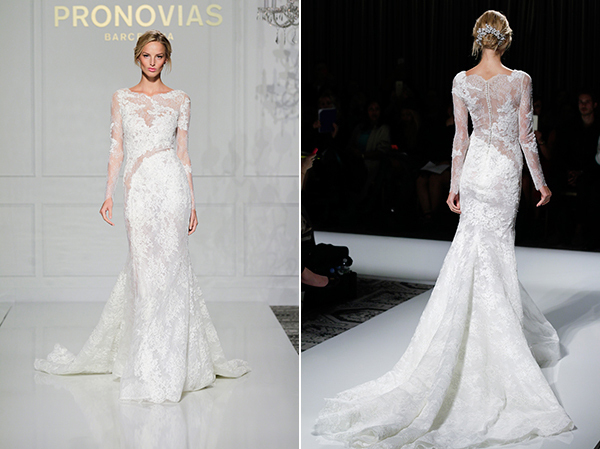 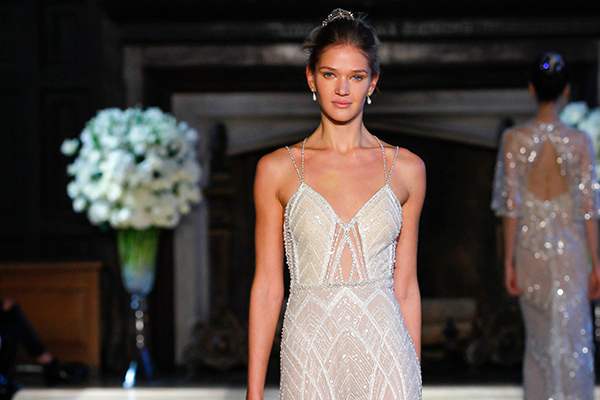 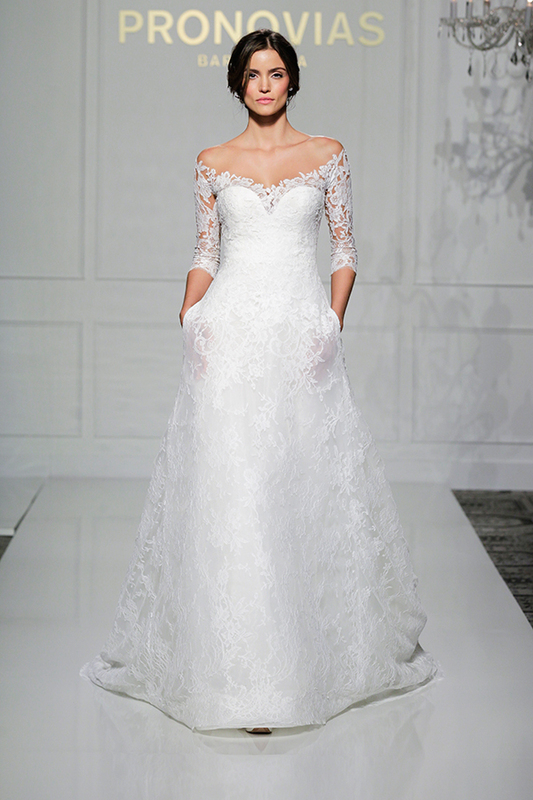 The 2016 Pronovias Collection has seriously left me speechless! 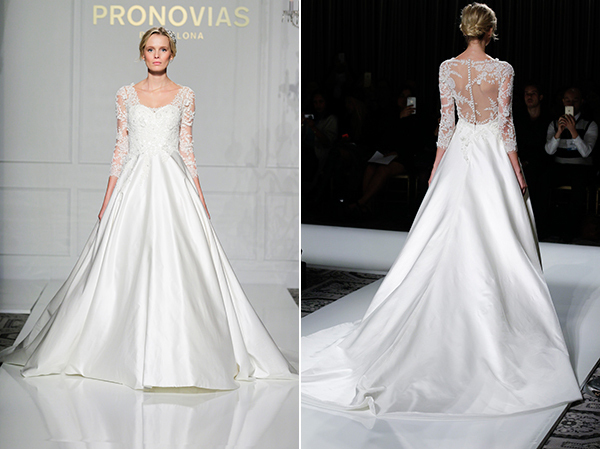 One of the highlights of my visit to New York Bridal week was attending Pronovias first runway show that took place at the historic 583 Park Avenue and showcased the 2016 collections of Atelier Pronovias and Pronovias. 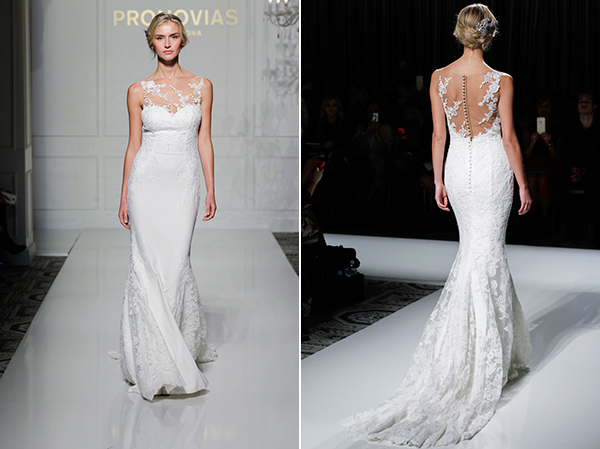 I was in complete awe as each dress appeared in front of me… The Pronovias 2016 collection is as stunning as it gets! 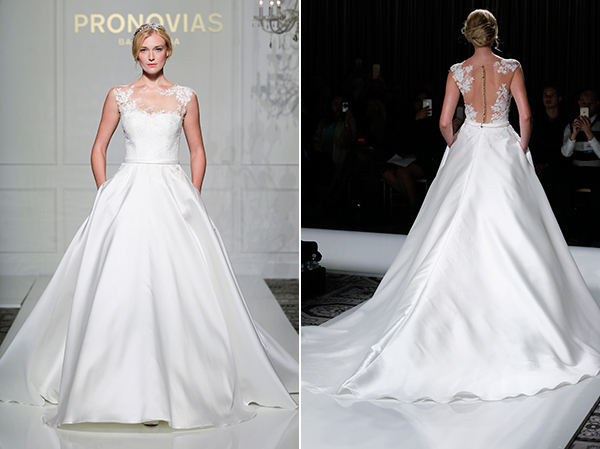 Creative Director Hervé Moreau drew inspiration for the 2016 collection from the company’s long, successful trajectory and introduces new categories from Pronovias to the US market. 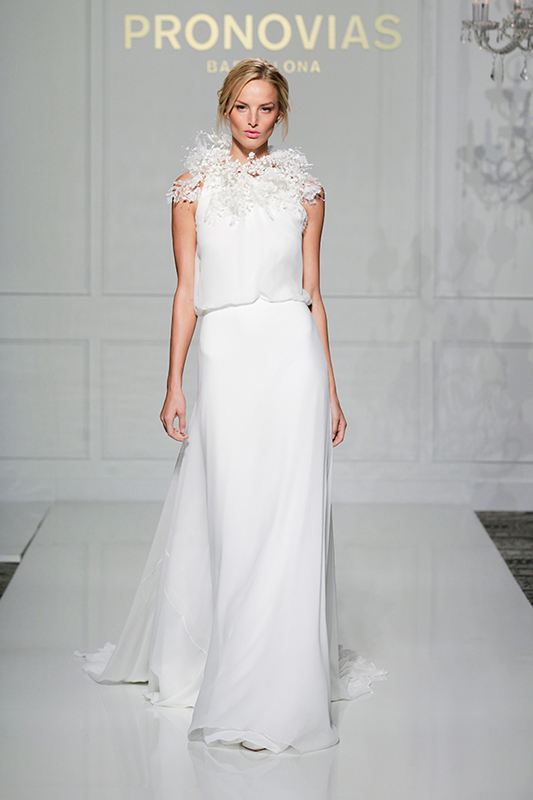 These include a number of looks comprised of separates, each with a bodice and skirt. 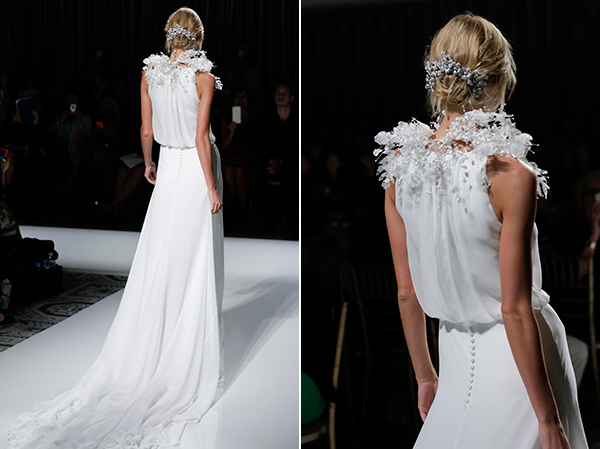 This concept allows for endless mixing and matching possibilities. 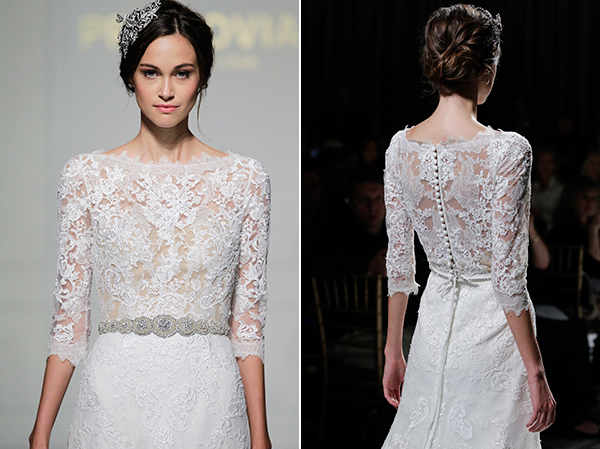 The gemstone embroidery in the jewelled dresses was another standout, and the brand’s signature shirt dress style took on new life. 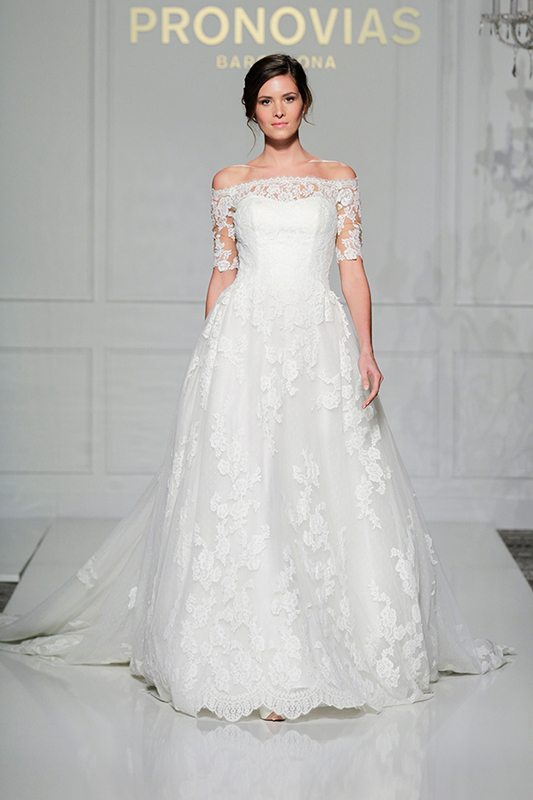 Sumptuous fabrics were the essence of the collection, including exquisite French and Chantilly lace, mikado silk, crepe or brocade. 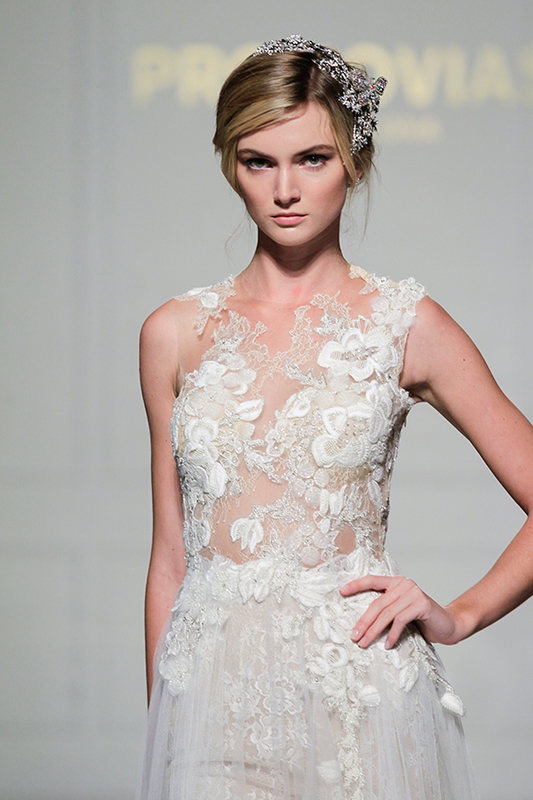 Lingerie-inspired dresses with a touch of Hollywood glamour from the thirties and forties ruled the runway. 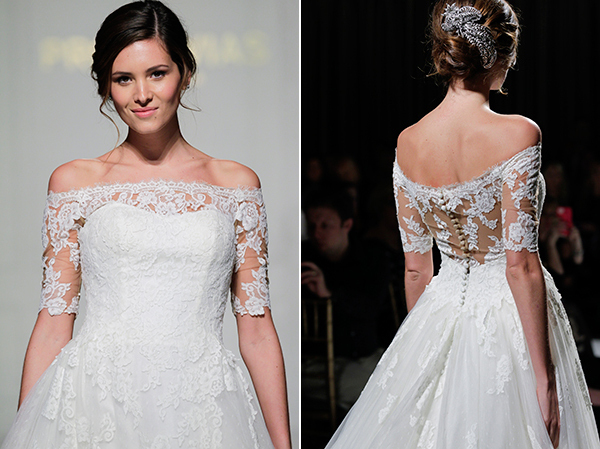 Tulle was beaded with delicate embroidery to create a magical tattoo effect on the skin, especially on long sleeves and at the neckline and back. 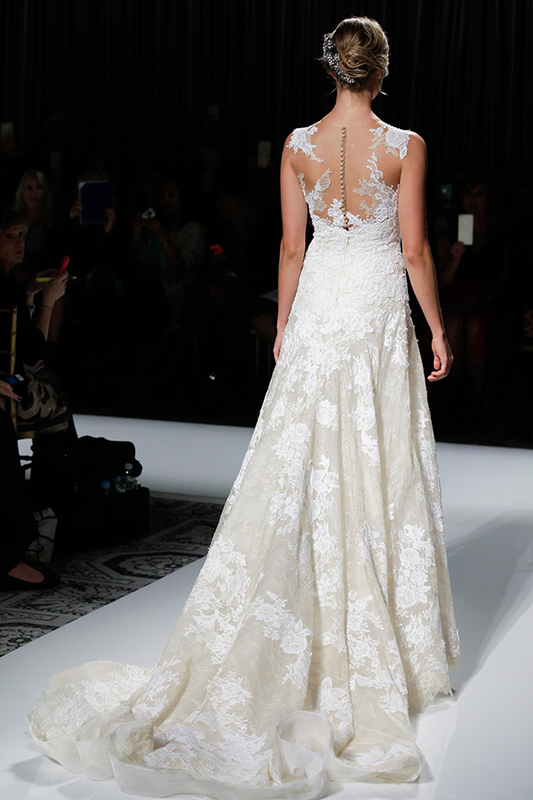 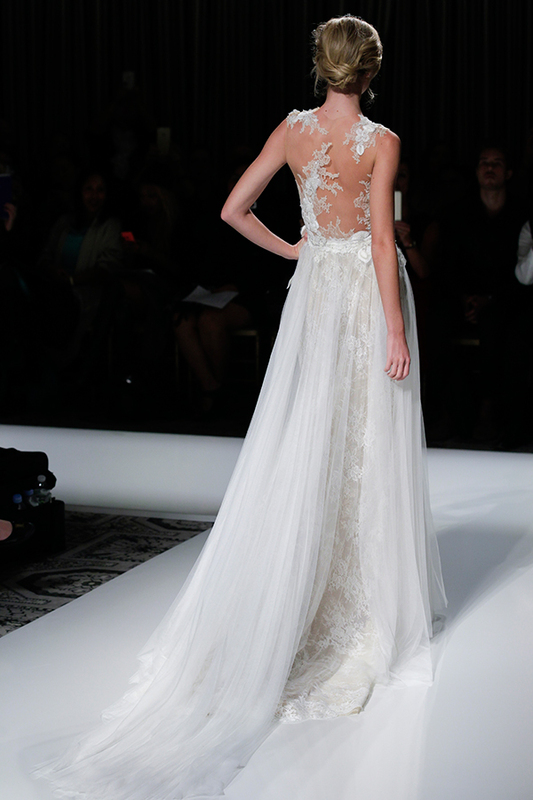 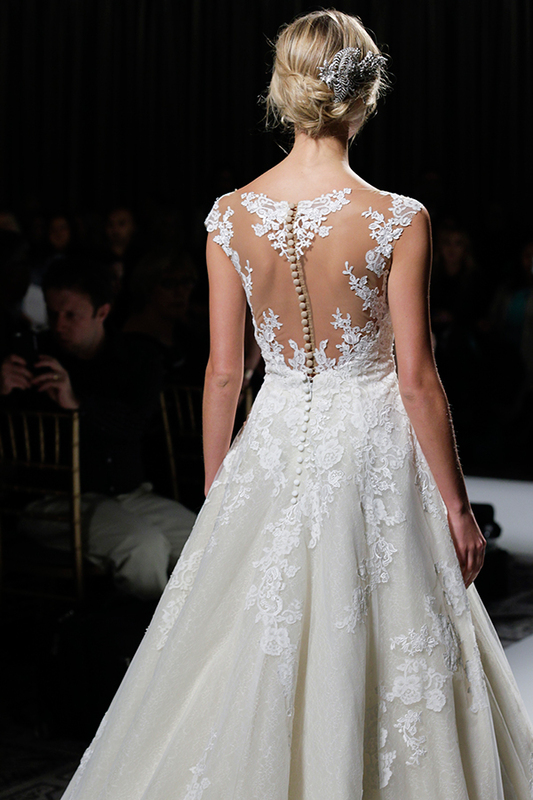 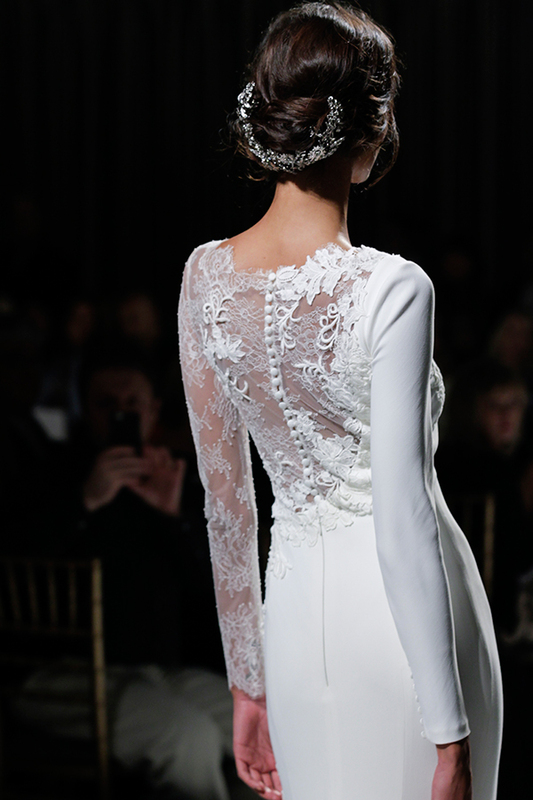 Floral lace, hand-draping, and embroidery give a romantic air to plunging backs and necklines.